Glasgow-based distributor Anime Limited has built a reputation for daring Blu-ray releases, be it films and series which aren't that well-known, or outrageous editions for fan-favorites. As a collector, the company is definitely worth keeping an eye on, especially whenever there's an announcement about an "Ultimate Edition". In 2016 they released a jawdropping Ultimate Edition Blu-ray for the original Fullmetal Alchemist series, and I concluded the Pretty Packaging article for that with the following sentences: "Will Anime Limited ever top this? It sure will be fun to find out..."
Well... that topping just happened. 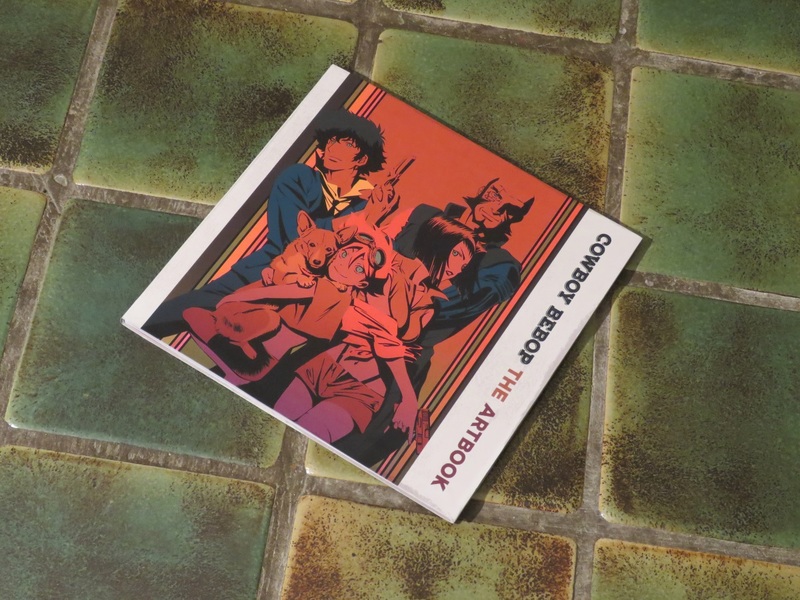 Anime Limited's 20th Anniversary Ultimate Edition for Cowboy Bebop arrived last week (after a few delays), and the size of the package when it arrived got me some puzzled stares from family members. What the hell had I bought? A fridge? After several layers of unpacking, the item emerged: a large vinyl flight case, which houses the discs and a whopping large art-book. It's quite the looker, so here is a gallery of shots. Click on the edge of the pictures to scroll through them, or at the center of each to see a bigger version. 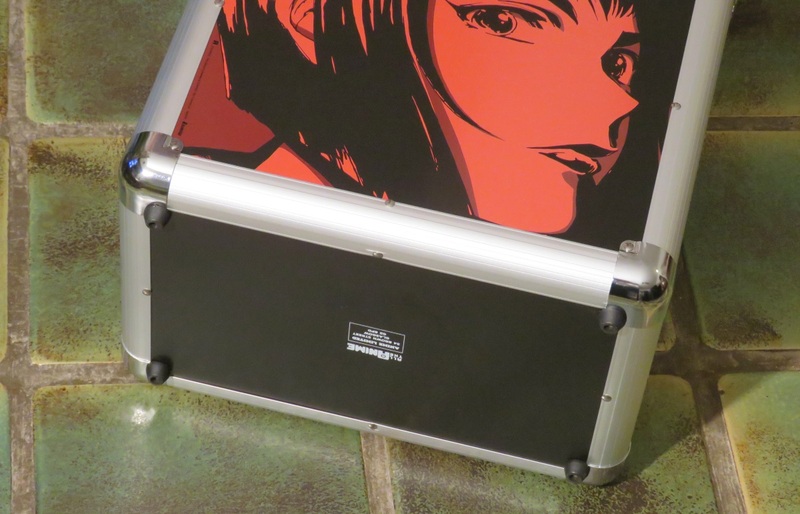 And here it is: the flight case, nicely decorated on all sides with the faces of the main characters. 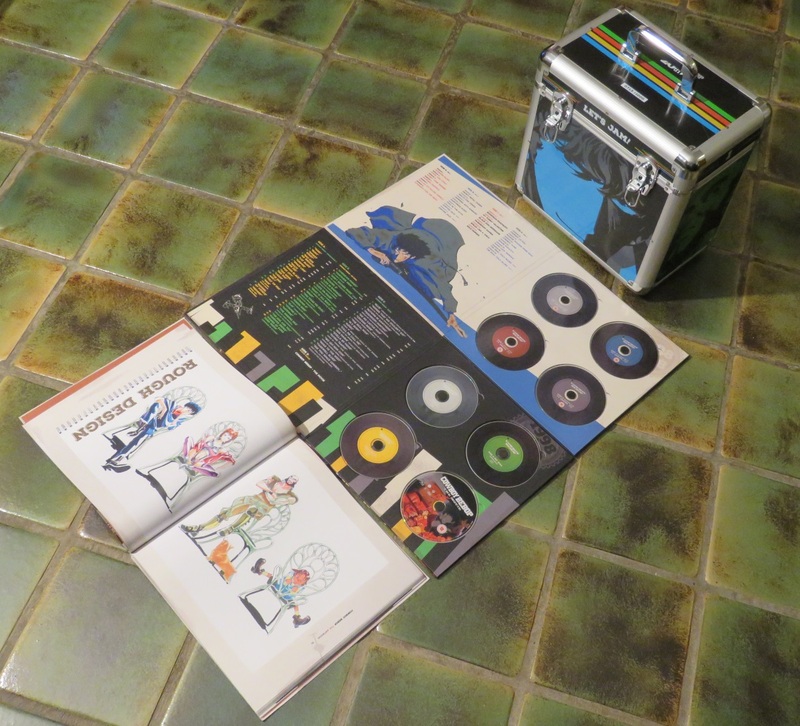 You can actually use this to store and transport vinyl LPs if you want. They're individually numbered and there are only a 1000 made (mine is 713). Opening the box reveals the contents, as well as a lot of free space. Those hoping the box was entirely filled with trinkets will be disappointed. Me, I use the extra space to store all my previous versions of Cowboy Bebop as well. The contents, removed. 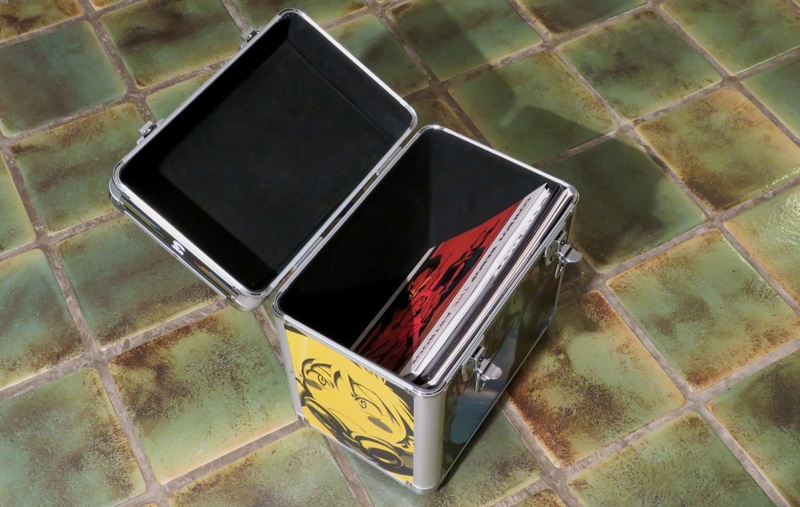 There are two large disc-holders, each holding four discs, and the 120-page art book. 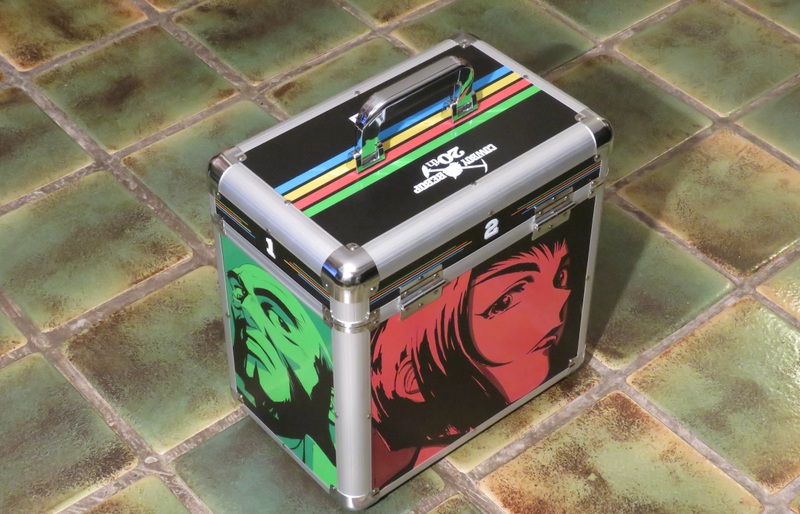 The first disc-holder has the 26-episode series on Blu-ray. 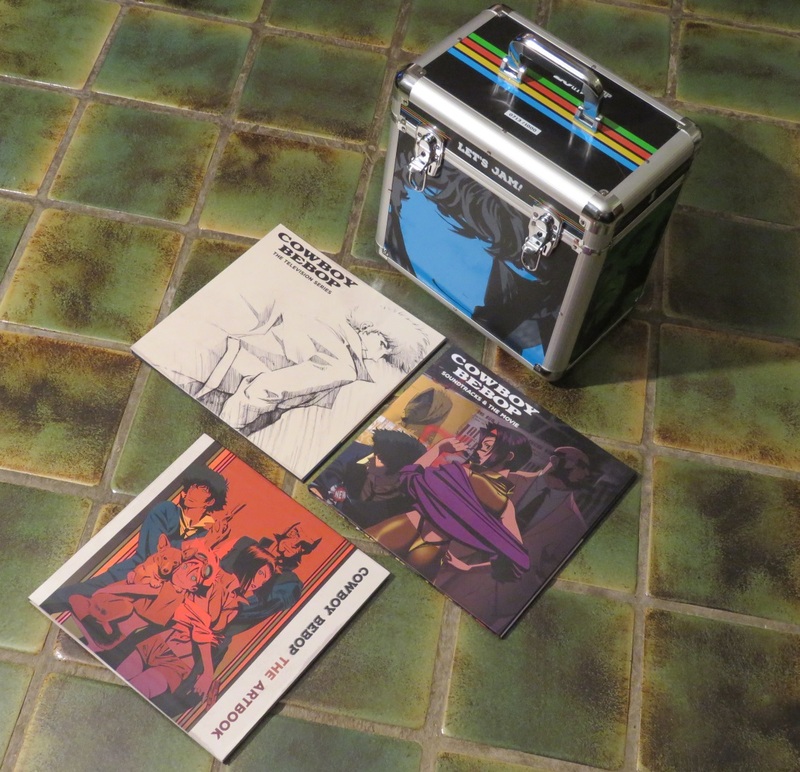 The second disc-holder has the movie Knockin' on Heaven's Door (courtesy of Manga UK), and three soundtrack-CDs. 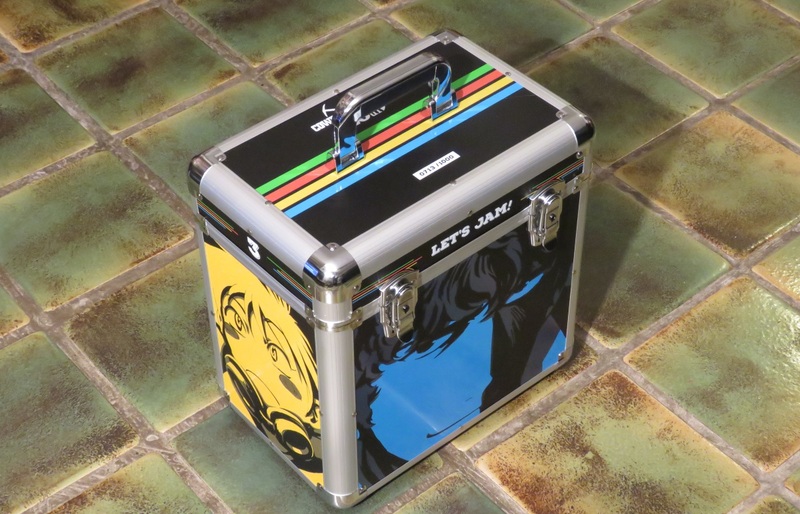 Cowboy Bebop is rightfully famous for Yoko Kanno's soundtrack, and this is the first time it's for sale in the West. 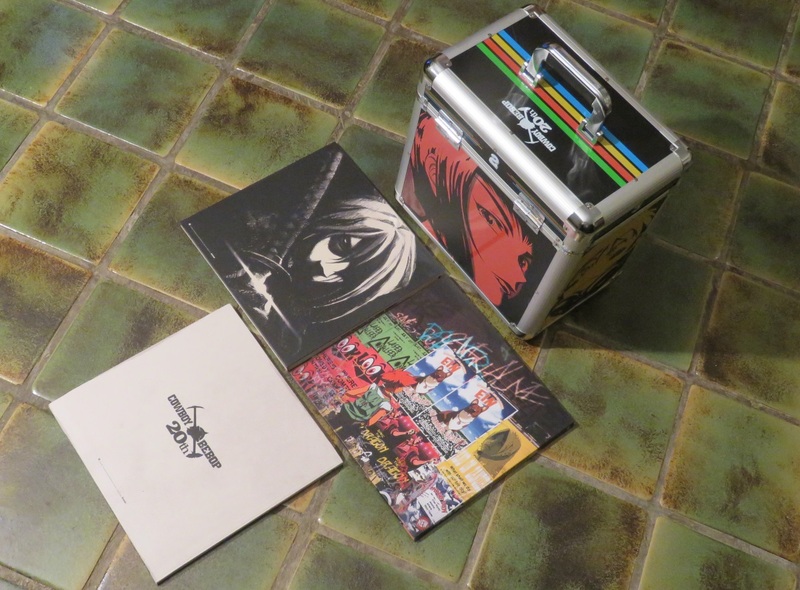 Anime Limited toyed with the idea to include the soundtrack on vinyl records, but that would have meant each set needed 8 records pressed, and each (already expensive) set would double in price. The book has 120 pages of art. More on that later. A closer look at the book. At 120 pages it's not the thickest we've seen from Anime Limited, but the pages are vinyl-sized, meaning huge. You get loads of character art, early sketches, promo materials, covers for early DVD-release, the lot! I would have loved more but hey, when does that stop? The (under-) end of another amazing Ultimate Edition. Once again I conclude with: "Will Anime Limited ever top this? It sure will be fun to find out..."